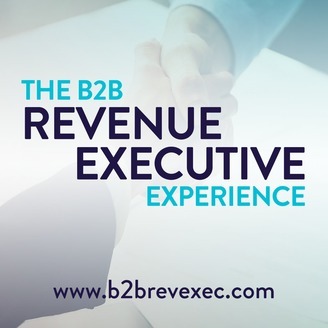 The B2B Revenue Executive Experience: B2B Sales | Marketing | Training is a podcast dedicated to helping executives train their sales and marketing teams to optimize growth. 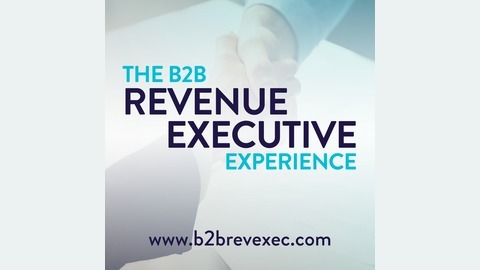 Whether you’re interested in increasing margins and growing your market share, enabling your teams to compete on value rather than price, hiring new employees, or trying to stay at the forefront of the latest in sales and marketing techniques, this podcast will give you the tools and skills necessary to win in a B2B marketplace. Each episode features an interview with a thought leader or practitioner, discussing topics like: value selling, B2B sales, sales enablement, sales performance, marketing enablement, increasing revenue, increasing margins, increasing market share, sales strategy, and more. Leadership is a challenge with a diverse generational workforce requiring varying types of motivation and leadership styles. The reality of leadership is often similar to firefighting. You're being reactive out of necessity rather than strategically proactive. The most successful executives and managers demonstrate a diverse skill set and ability to slow things down, and focus on the challenge in front of them while still being able to see around corners. We explored these topics and others with Tony Cascio, a Managing Partner at ValueSelling Associates and President at Cascio Group. Cascio is a recognized business transformation leader.